It's been 3 years since this small world connected us with songwriter Steven Fiore. 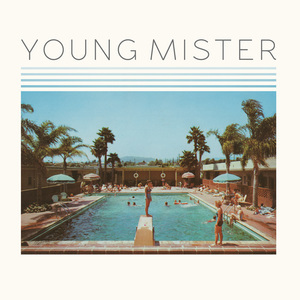 Over the course of a few months, a little idea would eventually grow into his debut self-titled album as Young Mister. As the first album released on Refresh Records, we never could have anticipated what would come of this record! Little did we know that so many people would discover Steven's music and join in on the experience in the years to come. Yet here we are, and we are so thankful. Refresh Records is excited to announce that 2019 will bring the release of a new album, and with your help we can make it something extra special. 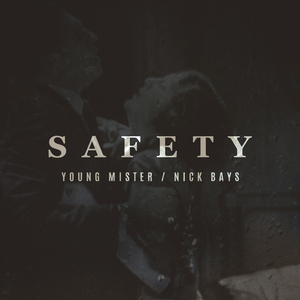 Young Mister will be heading into the studio this spring, but we need your help in deciding what songs will make the final cut before then! - New album on vinyl - limited edition color! - Exclusive b-sides LP on vinyl - limited to 100 copies total! 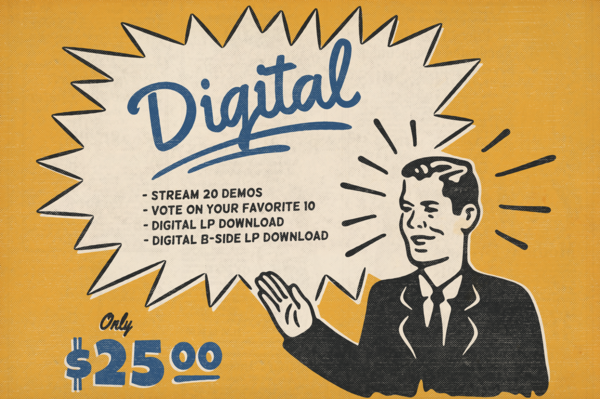 Click here to preview 2 new demos, "Burned Up Wagon" and "What If I". 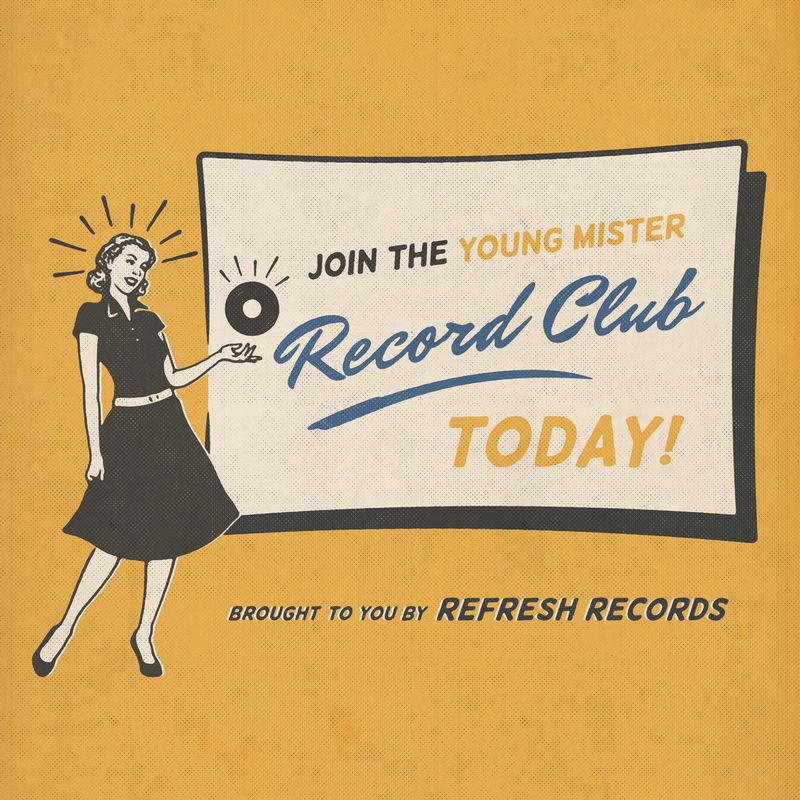 As a Young Mister Record Club member, you will have exclusive access to stream and vote on your favorite demos of new songs. You'll receive an email with the link to access demos on Feb 18, and voting will take place from Feb 22 - Feb 28. You will also be in the loop as the album progresses, receiving updates from Young Mister and Refresh Records with a behind the scenes look. Your feedback over the coming weeks will help shape the final album for the world to hear later this year! 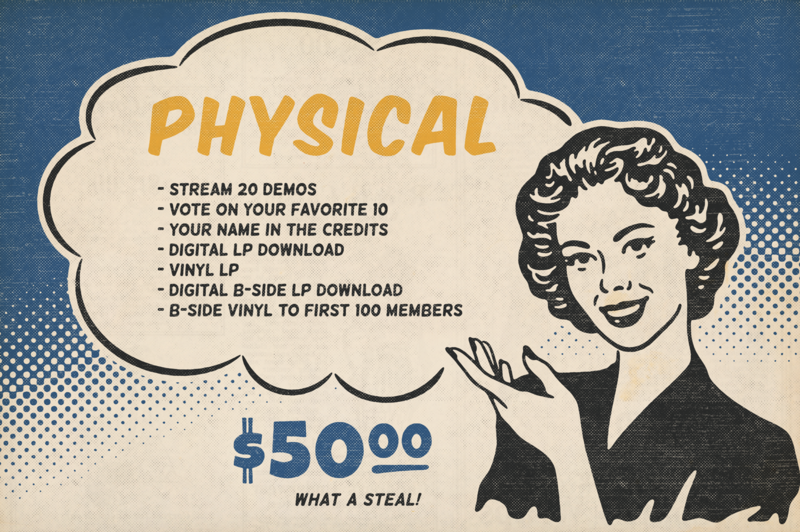 To thank our Record Club members for being a part of this whole experience, you will receive early access to digital downloads of the album before its release, digital downloads of a special b-sides LP, and many other benefits (and even some surprises). 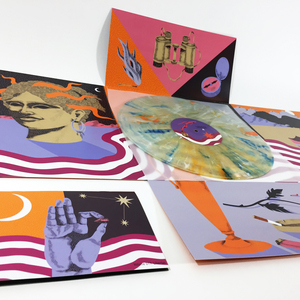 For the vinyl lovers, you will receive the new album on a limited edition color, and we will be doing an exclusive one-time pressing of the b-sides LP on vinyl for the first 100 members that join! 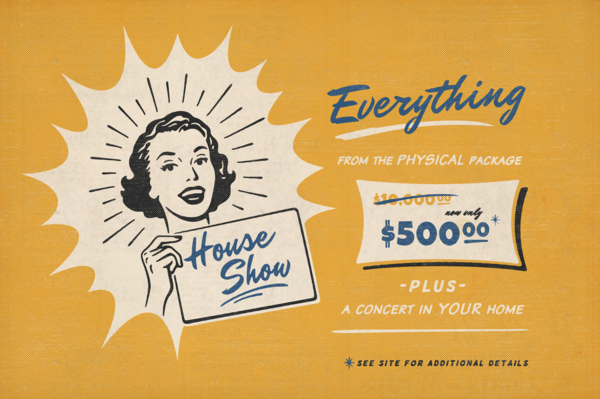 And if that's not enough, Young Mister will also come to your house to play a show for you and your friends! House Show members will receive all Physical and Digital member perks. Due to the logistics of travel, please email us at info@refreshrecs.com to discuss before purchasing this option.